Click on the accordion to display more information. Account Features: On the 19th birthday the account will be converted to a regular checking account unless the bank is notified that the customer is still a student. Account Features: On the 23rd birthday the account will be converted to regular checking unless the bank is notified. Other Fees/Limits: $2.00 per withdrawal in excess of 2 per month. Early closing fee of $20.00 if the account is closed within six months. Transfers from a savings account to another account, or third parties by pre-authorized, automatic, or telephone transfers are limited to six per calendar month. Other Fees/Limits: Early closing fee of $10.00 if the account is closed within six months. Transfers from a savings account to another account, or third parties by pre-authorized, automatic, or telephone transfers are limited to six per calendar month. Other Fees/Limits: Service charge of $10.00 will be assessed if the account is closed prior to November 1st. Other Fees/Limits: Transfers from a Money Market Deposit Account to another account or to third parties by preauthorized, automatic, or telephone transfers are limited to six per statement cycle. A $3.00 Excessive Money Market Fee will be assessed for each transaction in excess of 6 per month. As with any Visa or MasterCard, your Platinum Advantage card means worldwide acceptance at millions of merchant locations and you can obtain cash at more than 800,000 ATMs in the U.S. and 144 countries around the world. Platinum Advantage is the only card you will ever want to use while shopping, traveling, entertaining or getting cash advances.What Makes Platinum Shine? Experience the worldwide buying power that comes with Platinum Advantage. Interest is accrued daily and credited on the last day of each statement cycle. 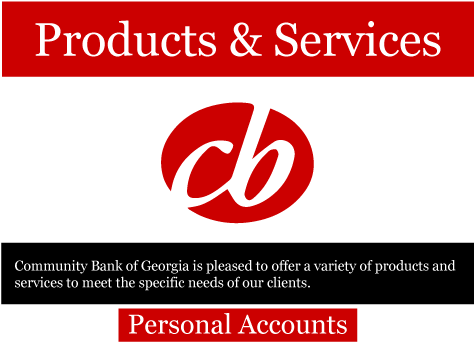 Monthly statements are provided on NOW Accounts, Seniors Accounts, and Money Market Accounts. Quarterly Statements are provided on Regular Savings and Treasuresavers Accounts. We use the current daily ledger balance method to calculate the interest on your account. This method applies a daily periodic rate to the current ledger balance in the account each day. You are about to leave the Community Bank website. If you would like to stay on the site close this box. Otherwise click continue to go to the map.